Peter Lynn Leopard Depower Foil Kite -Amazing Top Performance Depower Open Cell Foil Kite For snowkiting, landboarding, traction, buggy and general power kiting. The Peter Lynn Leopard offers amazing speed & lift, yet is super predictable, stable, and smooth - unmatched reliable high performance fun. The Peter Lynn Leopard has established a proven reputation of Amazing Performance, Quality, & Durability that simply can't be beat. The PeterLynn Leopard is a high performance, open cell depower foil with a 5th line safety that makes back country exploring explosively fun, due to its amazing performance and reliability. The Peter Lynn Leopard Kite has a very predictable and smooth power delivery yet it offers super fast turning speed and unrivaled power delivery for unmatched control and sending jumps to the moon. Peter Lynn Leopard Kite Ships Free within Continental USA.. Mind Blowing Lift and Float - The Leopard is designed for maximum airtime. The Leopard has been designed with maximum jumping performance in mind, its high performance profile is tuned for massive jumps and truckloads of float to maximize hangtime and to put you back on earth smoothly. High Flying Speed - The Leopard's high aspect ratio makes for a fast kite. The high Aspect Ratio guarantees fast paced riding, steer it in, pull the bar and hold on to your hat while the kite accelerates to incredible speeds. Send it for a jump and prepare for its phenomenal power. Blazing Fast Turning Speed - The Leopard is not only fast down the line, it also turns on a dime. The new Leopards smooth nose shape and upgraded profiles make the kite turn faster with more pressure through the turns, helping you to get up that mountainside in no time. 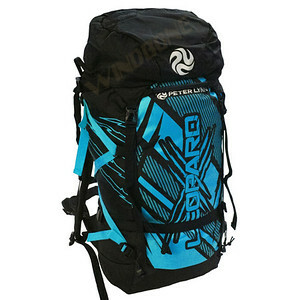 Unmatched Safety - The Leopard's safety release bundles up the kite for maximum loss of power. The Leopard features a full stop safety to ensure safe landings or safety releases in tricky situations. 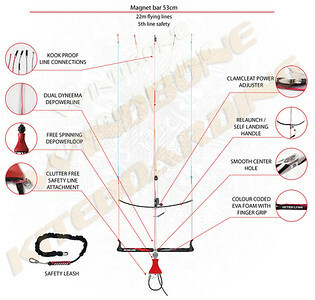 As the safety line acts like an extra bridle which is connected to the sides of the kite, pushing the safety release makes the kite pull into a compact bundle, immediately eliminating 100% of the kites power. Fantastic Upwind Performance - The Leopard’s racing pedigree will have you screaming upwind. The Leopards medium high Aspect Ratio makes it a very fast kite down the line but it also offers upwind performance similar to the latest generation race kites. This speed and upwind performance makes the Leopard a serious contender in any race. Easy Controlled Reverse Landing - The Leopard maintains it's stability when pulling the self-landing handle. In contrary to most other depower foils the Leopard is very well behaved when pulling the self landing handle. Where other kites lose their shape and start twisting uncontrollably the Leopard simply powers down and backs down to the ground. 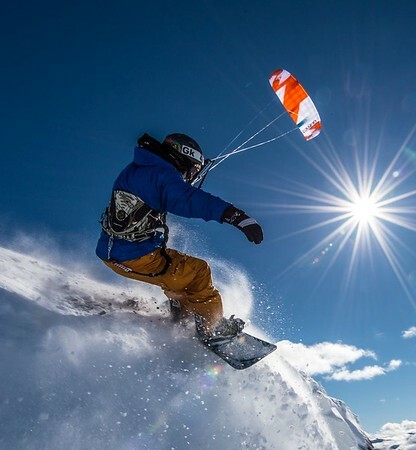 Peter Lynn open cell depower kites can be equipped with the optional Peter Lynn Magnet Control System (optional item) which is optimized for use in snow, while not compromising its suitability and ease of use for any other kite activity. Based upon the proven Navigator bar, this system ensures functionality and safety at the highest level of performance. The Peter Lynn Magnet Control Bar is based upon the Navigator Control bar but with a few changes making it more suitable for the harsher conditions often encountered when snowkiting. The tapered bar is fitted with extra grippy, colour coded EVA foam making it easy to operate with gloves on, the finger grip ensures a comfortable grip when riding without gloves. The Magnet bar is fitted with the same high quality stainless steel center piece for smooth bar action. 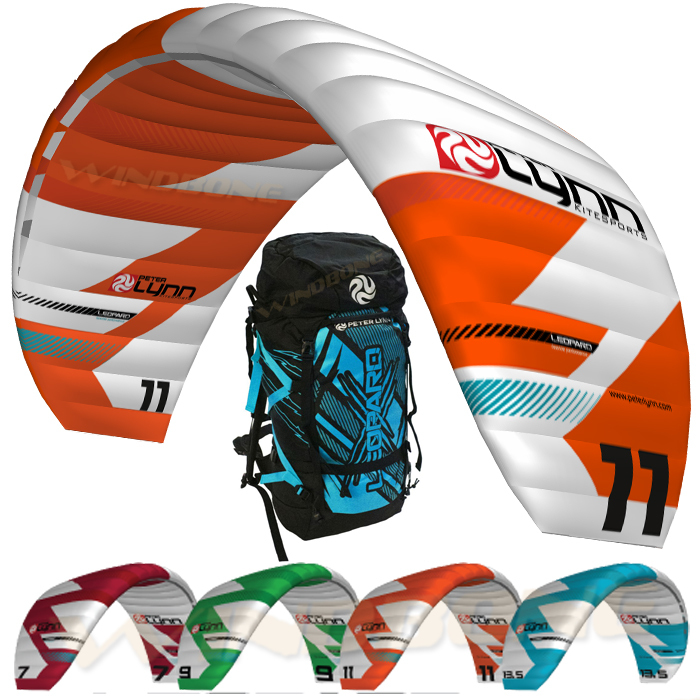 $175 Kite Coupon Code/Credit good towards the future purchase of any new in-stock kitesurfing kite 7 Meter or larger.. or 7% Off Board Coupon for any new in-stock kitesurfing board offered in store (offer good for: single use/purchase, non-sale items only, in-stock items available in store, coupon/codes expire 60-days from issue date, cannot be combined with other offers, etc..) Contact Us for details, questions, and/or stock availability -"if you don't see it just ask.."
***We have a large selection of latest Demo Gear from F-One, RRD, Crazyfly, Ocean Rodeo, Litewave, Peter Lynn, HQ, Boardworks, and more -Contact Us for latest demo gear availability and special requests.. Most Items in Stock, but Stock/Availability may vary at times on certain Kites, Boards, or Special Order Items, every effort will be made to get your order shipped out ASAP -prompt contact will be made if any availability or ship lead time issues arise.. Feel free to Contact Us with any questions..
Also, please Contact Us for all your F-One, RRD, Crazyfly, Ocean Rodeo, HQ, Peter Lynn, Litewave, Mystic, Broardworks, Bravo Elec Kite Pumps, Trainers, Kitesurfing Lessons, and General Kitesurfing needs -if you don't see it just ask.. (used & closeout gear currently available).. Extensive Demos and Lesson Programs also available in the NJ-NY-PA-Metro area (RRD, F-One, Crazyfly, Ocean Rodeo, HQ, Peter Lynn, Boardworks, & Litewave Demo Test Center).. The sport of Power Kiting and related activities such as Kiteboading can be extremely hazardous/dangerous without proper instruction/experience -those new to the sport please seek professional instruction prior to engaging in the use of Power Kiting and kiteboarding equipment..
Peter Lynn Leopard Depower Foil Kite from WindBone Kiteboarding your Peter Lynn Specialists - WindBone Kiteboarding is an Authorized Peter Lynn Dealer..